Björk brought serious science to the narrative of her album/app “Biophilia,” and then brought the music to life in a multi-platform educational program for kids. Album, concerts, repeat. That’s the music industry’s formula, and after more than 19 years of mostly following it, the Icelandic singer decided it was time to do something different–and for an eccentric woman like Björk, that means really different. With her latest, Biophilia, Björk has produced a genre-bending album notable for both its inspiration and its production. 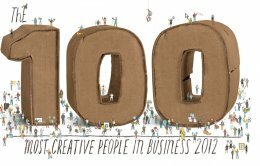 Björk appears in Fast Company’s June 2012 100 Most Creative People issue. Click here to browse the full MCP list. On the inspiration front, she found musical ideas in scientific theories and laws, from wormholes to dark matter. “I think at one point, after a few glasses of wine, I managed to explain string theory,” she says. She recorded the album with the help of an all-female Icelandic choir, a metal percussion instrument called a hang, a giant crackling Tesla coil, and iPads whose touch screens triggered digital beats and groans from a homemade pipe organ. But Biophilia is more than just ambitious art: By simply breaking the music down into component parts, it becomes teaching tools–with additional components to sell. Björk and her team produced a suite of companion apps ($12.99 on iTunes) that render the songs and concepts as touchable, shakable, pinchable interactive art. Then, earlier this year, she donned an electric-blue bubble dress and a rust-colored puffy wig, and took to a very different kind of stage than she’s used to: The New York Hall of Science, where she spent a month-long residency doing multimedia concerts for adults and tech-science-music workshops for public-middle-school students. “I was kind of thinking of me when I was, like, 8 and what would be the best thing that could happen to me in music school, and the whole thing is kind of designed around that format,” Björk says. The kids learned rudimentary music theory, played with the apps, then started creating their own songs. Björk’s work paired perfectly with the Hall of Science’s installations–her track “Moon” corresponded to a “Search for Life Beyond Earth” exhibit, for example–so that children could follow their interests to discover bigger ideas. Her audience cheered in their own way, especially after tapping a screen to make a Tesla coil spark. “I am Thor!” shouted a gaggle of 13-year-olds. The Biophilia iPad app turns interactive music into games and, of course, a journey through space. Björk, now 46 and a mother of two, says she wants to take Biophilia worldwide for the next two to three years. A San Francisco residency is already in the works. As she travels, children worldwide may, for the first time, eagerly take home a science experiment: Everyone leaves with their music on a USB drive.